The mission of Ohioans to Stop Execution (OTSE) is to end the use of the death penalty in Ohio. 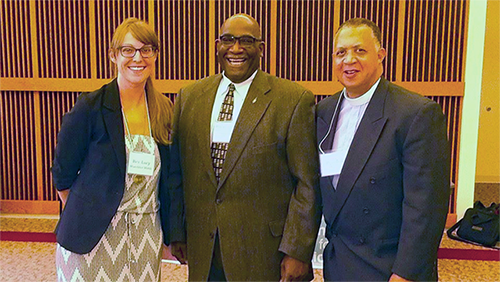 OTSE is a coalition of organizations and like-minded individuals working to reduce and end the use of capital punishment in Ohio. We are faith leaders, community leaders, activists, attorneys, death row exonerees and those who have lost loved ones to violence. OTSE is the state affiliate of the National Coalition to Abolish the Death Penalty. OTSE is a 501(c)(3) non-profit organization, founded in 1988 by individuals and organizations. OTSE engages in grassroots organization, education, and advocacy efforts across the state. Donations to OTSE are tax-deductible. OTSE Action Fund is a 501(c)(4) non-profit organization, founded in 2014 to complement OTSE. The OTSE Action Fund engages in legislative lobbying and advocacy. Because of its lobbying efforts, donations to OTSE Action Fund are not tax-deductible. We welcome everyone concerned with the death penalty in Ohio to join with fellow Ohioans to stop executions. Learn more about what our members do. OTSE was incorporated as an Ohio non-profit on April 15, 1988. 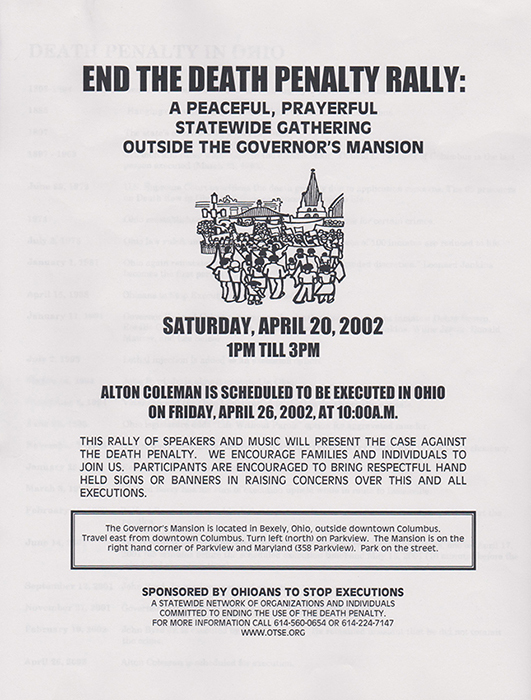 In the formative years, OTSE worked to raise awareness and education around state executions as Ohio began executing again in 1999. 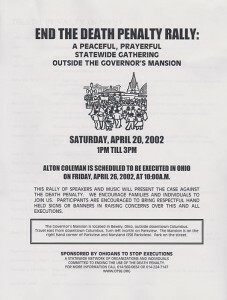 Since then, OTSE has worked on various campaigns for a moratorium on executions and is producing a report on Ohio’s death penalty. OTSE also brought the nationally-renowned speaking organization, Journey of Hope, to Ohio in 2005. OTSE hired its first staff member in 2007 and has since expanded its staff and grown to include thousands of members. Now OTSE is engaged in a legislative campaign to ensure that the recommendations from the Task Force to Review the Administration of the Death Penalty are implemented. These recommendations reveal how broken Ohio’s death penalty system is and will begin to eliminate injustices in Ohio until the death penalty is inevitably repealed. Click here to read more about the history of the death penalty in Ohio.